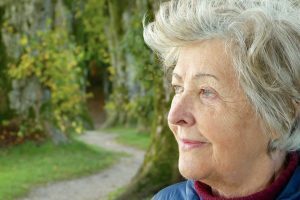 People ages 50 and older who have memory problems are needed for a new clinical trial for Mild Cognitive Impairment and Alzheimer’s disease at the University of California, Los Angeles and University of California, Irvine. The NEAT study is a clinical trial sponsored by the University of California “Cures for Alzheimer’s Initiative,” testing whether nicotinamide, a component of vitamin B3, can slow Alzheimer’s disease. Specifically, the 12-month study is investigating if a high daily dose of nicotinamide can affect the brain tangles associated with Alzheimer’s disease. The study also measures whether nicotinamide is effective in improving memory and other thinking problems. The study is for individuals diagnosed with mild cognitive impairment or mild dementia due to Alzheimer’s disease. Participants will have a 50 percent chance of receiving the active study treatment or an inactive placebo. Are experiencing memory loss or mild Alzheimer’s disease. Participants will have to take assigned treatment twice daily for one year. After enrolling, participants will have in-clinic visits after 3, 6 and 12 months. Participants will be required to complete a lumbar puncture and MRI brain scan at screening and at the end of study. In-clinic visits include routine blood work.